“We call Butter our eldest (and currently only) child. Just like any devoted parents, we plan so much of our lives with Butter's interests at the forefront. "We need a bigger house cause Butter needs a yard". "Let's get a camper trailer so we can travel with Butter". "Let's drive 30 mins to the market to get her those bones she likes". Yep. We're those crazy dog parents! Butter was once our bouncy, over excitable, demands to sit in your lap and will knock whatever's there out of the way pup. 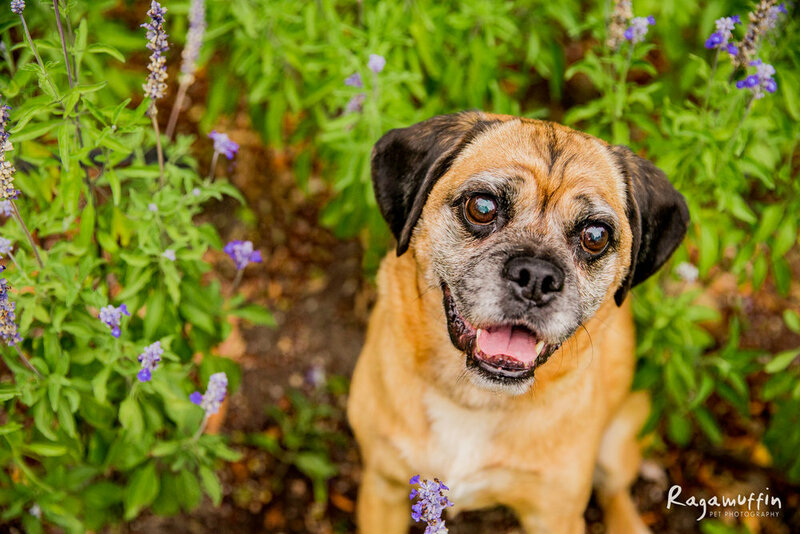 In May last year, things suddenly changed when Butter's sight suddenly deteriorated over the space of a couple of weeks and she was diagnosed with SARDS (Sudden Acquired Retinal Degeneration Syndrome). She is now completely blind. Sadly there is so little known about SARDS and there is no recognised treatment. The diagnosis was devastating for us but Butter's handled it like a trooper. She's mapped her surroundings well and will happily go for a prance around the park off lead. You wouldn't even know she's blind - until she runs head first into a tree.